WONDEFUL! Just one question though! Where did you get the Icons? Hmmmm? The Icons are a recolor version of CopperDeckII by Treetog. How do I get the icons to show??? Such as My mUsic and Documents etc. Are you thinking of updating this for WB5? With some per pixel shading and such. That would rock. 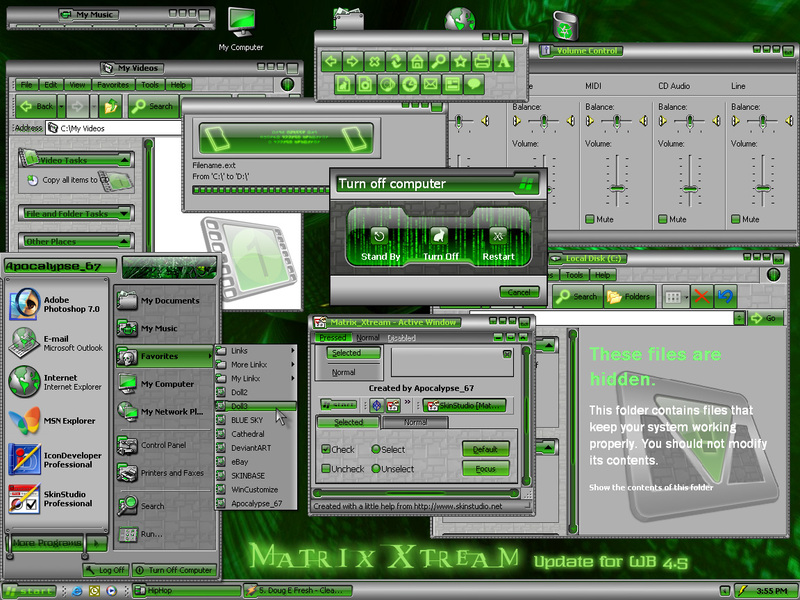 Like the Start Menu and maybe the Windows Borders. Then that would take over my PC again. Very cool Matrix blind. Any chance of seeing it updated for Windowblinds 7 for Vista and Windows 7?